Margie Goldstein-Engle is a native of Miami, FL, where she started riding at the age of nine. She worked in the barn and the kennels to pay for lessons, and during her junior years she worked with green, unbroken horses and ponies as well as doing a lot of catch riding, not having her own horse until she was in her late 20’s. Margie has over 210 Grand Prix wins under her belt, she has been named AGA Rider of the Year ten times, has been on more than 20 winning Nations Cup teams and was the 1991 AHSA Equestrian of the Year. In 1992, Engle was named the National Grand Prix League Rider of the Year, a feat she repeated in 1993. In 1999, Engle rode Hidden Creek’s Alvaretto to the team Silver medal at the Pan American Games in Winnipeg, Canada. At the 2000 Olympic Games in Sydney, Australia, she was the highest placed woman and the highest placed U.S. rider in the individual competition riding Hidden Creek’s Perin to a tenth-place tie, also earning a Team Gold and Individual Bronze medal at the 2003 Pan American Games. She was a part of the U.S. Silver medal team at the 2006 FEI World Equestrian Games aboard Hidden Creek’s Quervo Gold. Aboard Indigo, Engle was a co-recipient of the 2012 USEF National Show Jumping Championship title with the help of a clear round in the first trial. This win allowed Engle to claim her third national title. 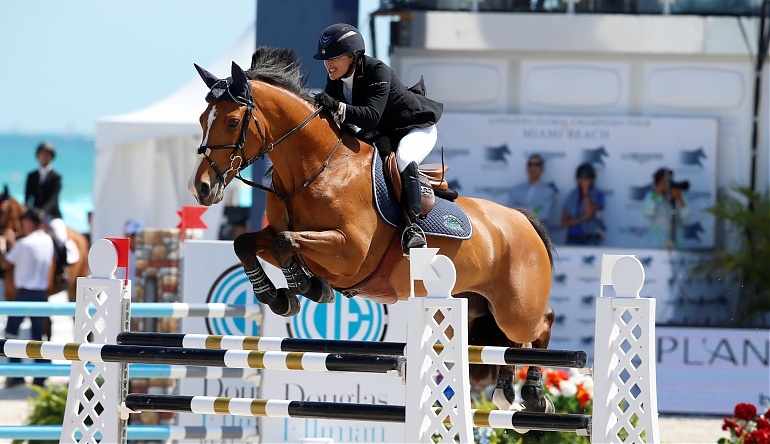 She has most recently represented the United States on multiple Nations Cup Teams aboard Royce, which has included wins at the 2014 Hickstead Nations Cup and 2015 Wellington Nations Cup, and they have also won multiple grand prix events. Engle now lives in Wellington, FL, with her husband Dr. Steve Engle and is well-known for her infectious sense of humour.